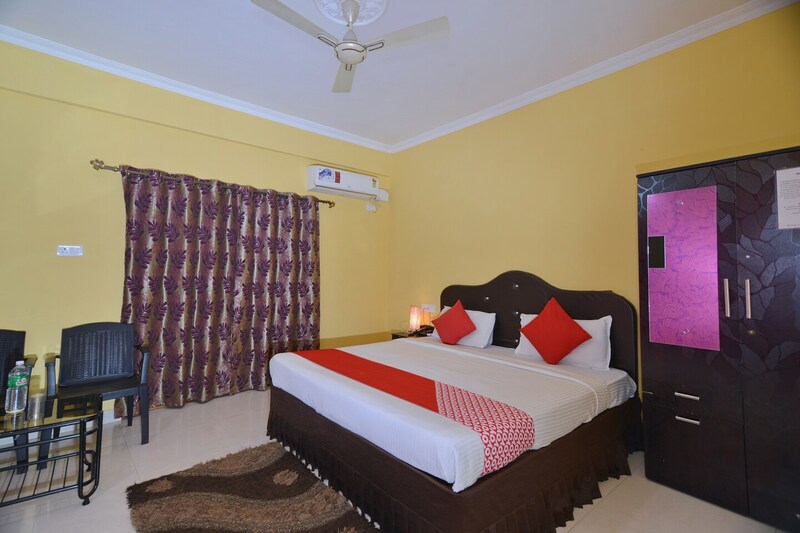 This simple hotel is located near Candolim beach in Goa. It is has a number of tourists spots nearby like the Candolim Beach, LPK Waterfront Club, Our Lady of Hope Church and Grand 7 Casino. This property provides a value for money in this budgeted stay close to one of the longest beaches in the state. Every room in this hotel has free Wi-Fi, AC, TV, and geyser. The guests have access to the parking facility and a seating area. There are a few very good eating joints next. They are Masala and More, De Candolim Deck. Fisherman's Cove and LPK.